Using advinda improves the capital raising process for Asset Managers of all sizes, whether it’s a smaller firm or one of the largest in the world. 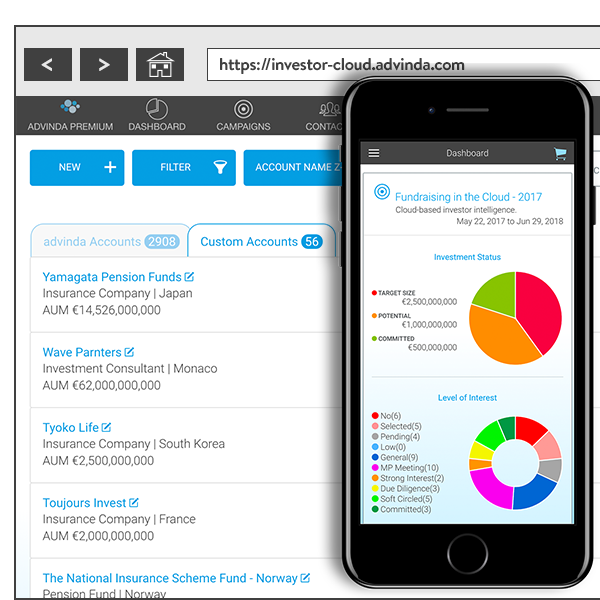 advinda is a fully scalable CRM Platform for your capital and/or fund raising efforts. The modular Investor Intelligence makes it possible to only subscribe and pay for the data you actually need. 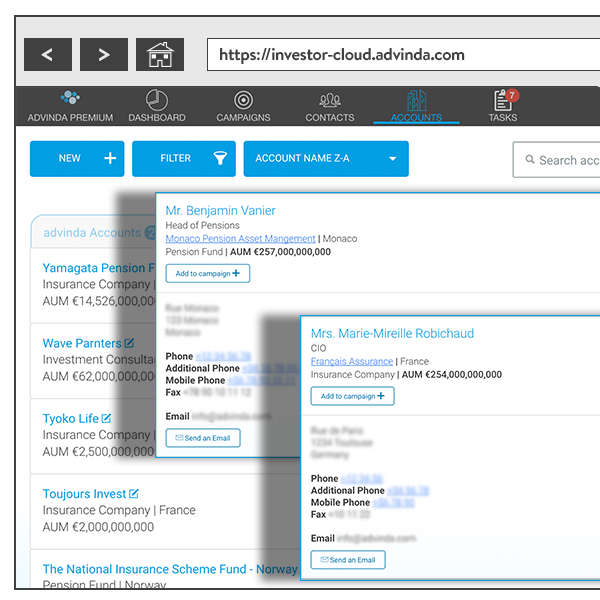 advinda enables you to easily map your dealings with individual contacts. View previous communications and assign contacts to other team members to keep track of potential investors. Subscribe to various advinda Premium Packages, categorized by region and asset class. 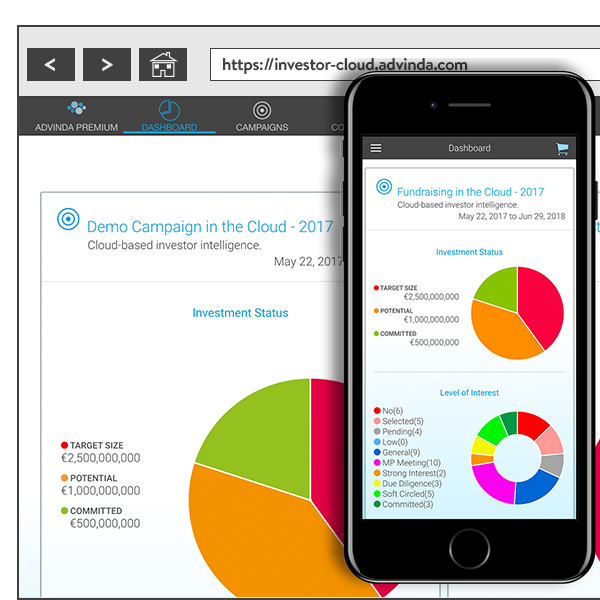 Gain access to continuously updated investor intelligence with a single click. With advinda you can record tasks associated with contacts and campaigns whilst scheduling and tracking their due dates. Send emails directly from your campaign or contact view and keep a history of all events and interactions with your contacts. Getting Started is Easy as 1 – 2 – 3! Request a free demo and find out how can advinda accelerate your fundraising. Log in and subscribe to the package that you need. Download the App to your and your team’s mobile devices, as needed. Request a free trial to get access to advinda CRM. Select and subscribe to your advinda Premium Packages. Download the advinda App to your mobile devices. Note: You will need to register your advinda CRM account before you login on your mobile app. Access your mobile app with the same login details you created for your advinda CRM. Need help using our products?